The Novelry runs a tight ship to pace our writers from the very first twinkling of a yen to write a novel through all the steps of writing to delivery to literary agents and publishers. There is a planned pathway with checks and balances en route for all who join us to get that novel done. Get on board in 2019! The Second Writing Session - the End of the Day. As our members know, one of our practical methods is dubbed 'The Two Pedals.' A writing machine (that's you the novelist) comes with two pedals - writing and reading. When one runs out of juice, you turn to the other. 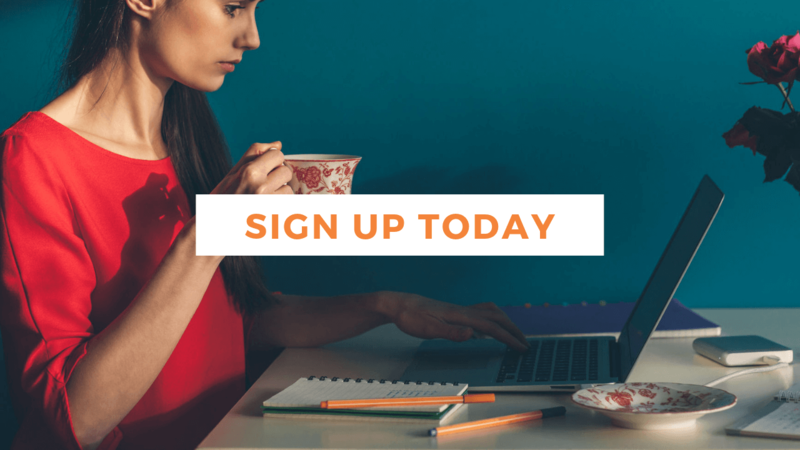 Our method at The Novelry is to show you how to write a novel in one hour a day, and we have you walk the talk for 90 days with The Ninety Day Novel course. We show you how to harness the power of the subconscious in the 23 hours which remain. It works beautifully, transforming even the dullest events into material. Your wicked and wondrous mind does the work. When you're on a big push, as many of us are right now, it pays to double up. We run a one-hour-a-day writing method at The Novelry but in these wonderful writing days of winter, I've been pushing on with two hours writing and two hours reading. I've found the new writing slot for the busy working mother - the bedtime shift. Drafting the scene I've set myself to write the next day in bed the night before brings a more magical quality to it. You're so close to dreaming....you're pre-dreaming. 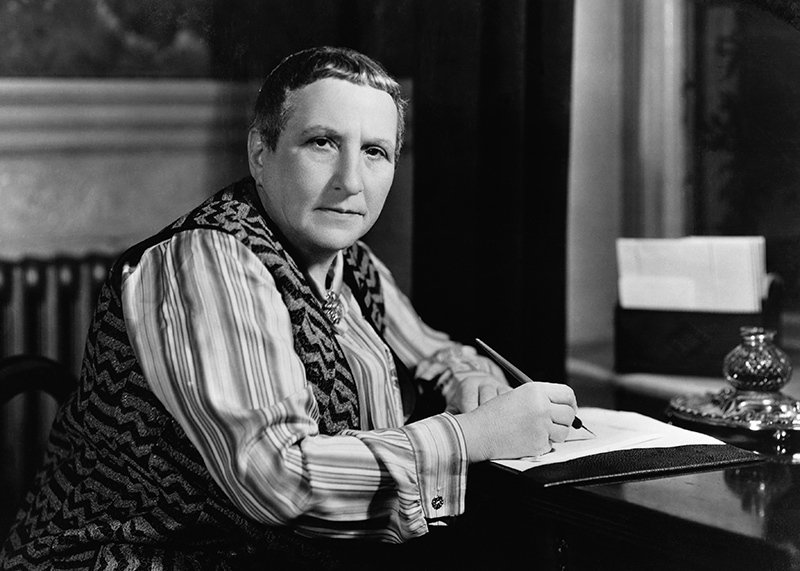 'If you can't say anything nice about anyone else, come sit next to me.” Gertrude Stein. It took me from the end of August until mid-November to find my way into the novel. (More about how to do that here.) I was writing in a perfunctory way until then. I got air into the thing after our Retreat. After a week of complete focussed absorption in my work and others', I was able to find the nerve to deliver something bigger than I'd imagined. I used the Editing Course to muscle up and set my aim higher and I've been pushing on beautifully since and have fallen in love with my novel. I don't think it is always love at first sight with a novel, I do think it takes work, like any relationship I suppose. It reminds me of the old therapy adage - if you can't make it, fake it. At first you feel like an awful faker, then suddenly, you're in the skin and the thing is walking and talking and it's the only place you want to be. I know I'm not alone in this. My friend Tim Lott describes the moment you 'inhabit' a novel the same way. It's not a given. You have to gatecrash that party. So don't feel bad if you're not there yet, if you're not feeling it. It happens. With writing, unlike real life perhaps, no effort goes unrewarded. Keep your nerve and if anything, if you're feeling it's all a bit limp, make it bigger. Push yourself. You will get your breakthrough. Pre-dreaming and post-dreaming times for writing are the most precious. You're tender then; open to suggestion and particularly alive to visual imagery. Our session at the next Retreat with international dream expert Ian Wallace should be a big boost to those attending in terms of method. Ian will be teaching a session on linguistic imagery, symbolism and mythopoesis, using the dreaming process to make your novel bigger and more vivid. You can see the schedule for the Full English Residential Course in February which is now live here. You can't write a novel by writing alone. You have to live and breathe it. Day and night. It's an incredible and addictive experience, the productivity is deeply satisfying, but it's the venturing into the unknown which makes it so exciting. You see things, you hear things, you feel things at the most unexpected times when you're involved in your novel fully and you think - aha! Yes, of course. Once you know this is how novels get done, you will know that you can repeat the process. You don't need to have a big idea, you'll find it. Just start sniffing. To get here, where the end is in sight for so many of our writers, you simply have to begin. Don't beat yourself up about the idea, be prepared to pedal. The most lovely gift you can give yourself for Christmas is an unexpected ending. Write with one in mind but be prepared to treat yourself to something finer than you can imagine right now. Her work certainly demonstrates that method. How To Write is a difficult book. At first sight - nonsense - but on further reading - an elixir. It's the ultimate digestive. It clears your system. Something in the repetition itself, the clarity of the expressions and the gaps between them works hard on the writing mind. I'm taking it as medicine, it's giving me Hem's style from the source. Stein became godmother to his first son, John, nicknamed “Bumby.” She advised Hemingway to rewrite his autobiographical war novel from scratch. “Begin over again and concentrate,” she wrote to him. He did and A Farewell to Arms was produced. Hemingway said that her 1909 story 'Melanctha' helped him develop his style. “Gertrude was always right,” Hemingway told John Peale Bishop in 1922. "There is some difference between sentiment and romance. Sentiment is awhile and weighed as a weight and romance is made to be authentic. There is no use in knowing why they went because it is made important by their means." "How is sentiment maintained. A pause." "Scenery is a valley in moon-light. Scenery is left of a valley in moon-light. Below there is a lightened mist." 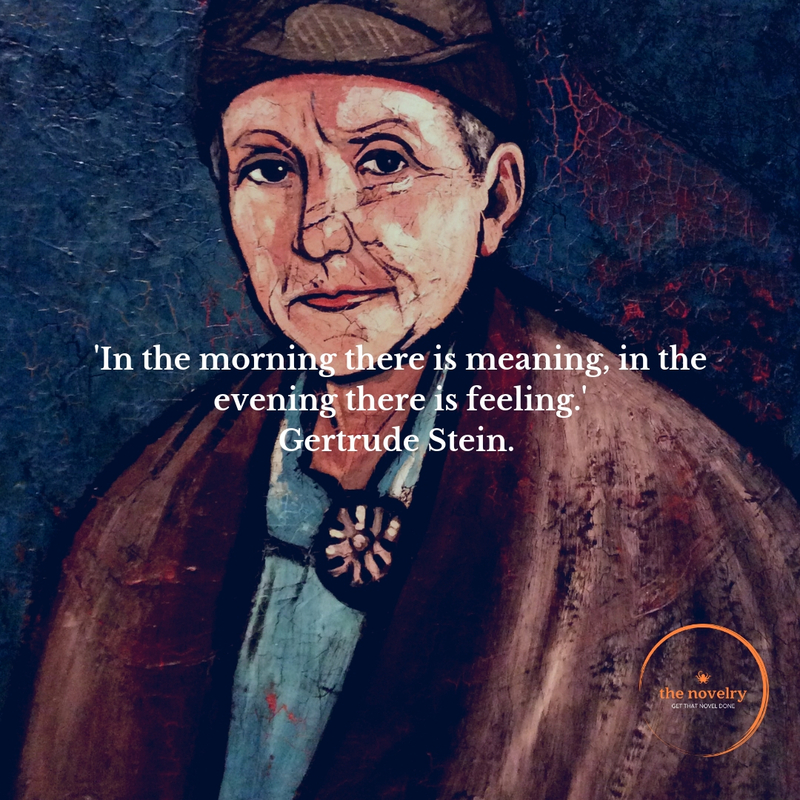 Gertrude Stein uses a flattening effect to produce a flattened 'affect' and stamps out sentimentalism in favour of romance. In the directness of her work, I can hear Hemingway rising. Here is a passage from the work he found so inspiring, Melanctha. See what you think. "They were very happy all that day in their wandering. They had taken things along to eat together. They sat in the bright fields and they were happy, they wandered in the woods and they were happy. Jeff always loved in this way to wander. Jeff always loved to watch everything as it was growing, and he loved all the colors in the trees and on the ground, and the little, new, bright colored bugs he found in the moist ground and in the grass he loved to lie on and in which he was always so busy searching. Jeff loved everything that moved and that was still, and that had color, and beauty, and real being." It's a noble, restrained and pure way with prose. Sample some as a dose of salts. It will show you that what you are doing can be enough, wherever you are in your work if you tell it true.